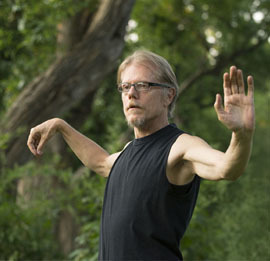 tai chi & qigong terms and terminology, etc. This page is a great resource for your new students, and even your advanced students, and it gives ideas you might add to your teaching. But, by having new students and advanced students read through these helpful tips (see this page and others under the top menu’s “Student” tab drop-down menu: “Terms” “Tutorials” “Tenets of Tai Chi,” etc. ), they will be able to understand more clearly what you are teaching them. The Traditional Chinese Medicine section helps your students see how your teaching is a rich part of TCM. Some of these tips are excerpts from “The Complete Idiot’s Guide to Tai Chi & Qigong,” which has been lauded by top tai chi experts worldwide for its unique ability to “make complex Chinese concepts easy to understand using Western based explanations,” and top experts in the field claimed that this book could be read again and again by experts as well as students, to better understand the complexity, richness, and depth of Tai Chi and Qigong’s internal arts. Also, encourage your students to Join Our Free Mailing List at WorldTaiChiDay.org, as it will keep your students abreast of breaking Tai Chi Medical Research and all things Tai Chi & Qigong from around the world. Our weekly free Ezine newsletter promotes your local classes via our free Events/Schools Directory where you can list your WTCQD Event and school and our readers can find you easily. 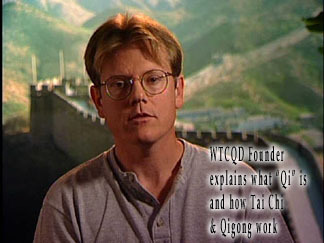 However, by having your students join our newsletter, it will keep them excited about their Tai Chi and Qigong journey, and be excited about participating in, and helping you organize, your WTCQD event, as we show video/photos and reports of WTCQD as it builds worldwide. World Tai Chi & Qigong Day has presented for the National Parkinson's Foundation National Conference; the ALS (Lou Gehrig's Disease) Association; Nursing Programs for Fibromyalgia Health Workers, and has consulted for major corporations; the National Council on the Aging; and helped produce an introductory Tai Chi & Qigong DVD now available through physicians nationally at no charge to patients. World Tai Chi & Qigong Day has been a Tai Chi source for The New York Times; The Wall Street Journal; BBC World Radio; The South China Morning Post; USA Weekend; Parade Magazine; Reader's Digest, and over 100 media worldwide. See our School Directory link below to find contact information for teachers and schools of many styles in your locality, no matter where you live. curious about "qi", the concept of life energy, or taoist philosophy as it relates to tai chi?